The special education committee of the Illinois Council of School Attorneys (ICSA) updated its publication titled Special Education Procedures Assuring the Implementation of Comprehensive Programming for Children with Disabilities this month. You can find the updated procedures at www.iasb.com/law/icsaspeced.cfm. Also at this link, you will find sample policies and procedures. They are meant to give you a starting place when developing your district’s special education materials. The committee changed the procedures because of new IDEA regulations, ISBE requirements and State legislation. More detailed information may be found at www.iasb.com/law/ICSASpecialEdMemoRevised2015.pdf. 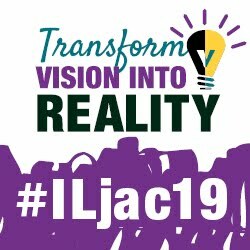 Thirty panels have been chosen from among scores of proposals submitted by school districts and related organizations for “Share the Success” presentations at the 2015 Joint Annual Conference. Click here to see the entire list of panels chosen for the 2015 Conference. The winners have been invited by mail to present their proposed 90-minute panel sessions at the IASB/IASA/IASBO Conference, to be held November 20-22 in Chicago. Attendees view the EEE at the 2015 JAC. IASB invites participation in the Exhibition of Educational Environments (EEE), which is sponsored by IASB Service Associates and will take place in conjunction with the 2015 Joint Annual Conference. This annual awards program is intended to encourage top design competition through peer recognition. EEE features a juried competition, open to firms engaged in any aspect of designing public school facilities. 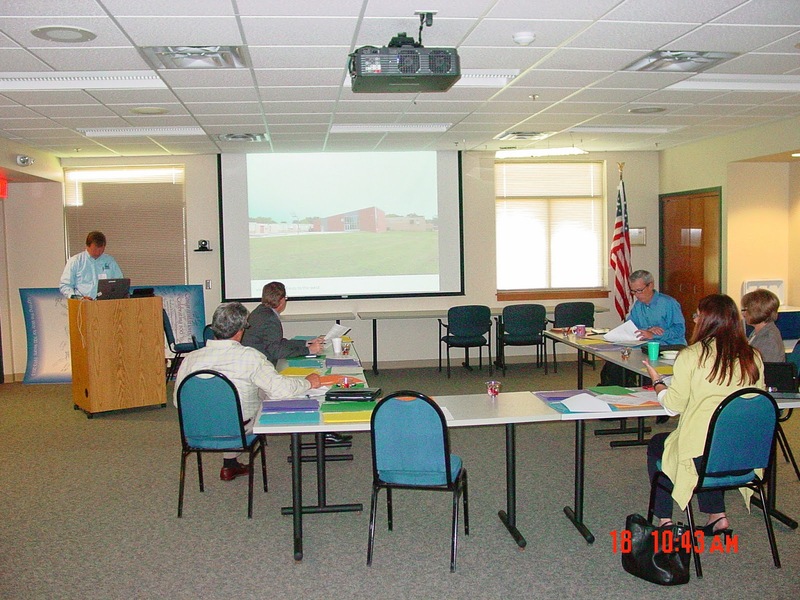 Eligible projects include new or renovated facilities owned or operated by or for Illinois public school districts. Facilities may be for instructional, recreational, administrative, or other use and must be completed in time for occupancy by the start of school in the fall of 2015. Entry deadline is July 17. As the Illinois General Assembly prepares for the homestretch of the spring legislative session, the Governor and legislative leaders continue to wrangle for the political high ground in budget discussions. Presumably because they were weary of waiting for Governor Bruce Rauner to introduce his bill package, House Democrats continued to offer legislation, which they oppose, that they say is authored by the Republican Governor. The bills are called for a vote and summarily defeated. Meanwhile, both sides are billions of dollars apart in crafting a Fiscal Year 2016 State budget. The majority of the dialogue between Democrat legislative leaders and the Governor seems to consist of acerbic sound bites in the media. Registration and housing information for the 2015 Joint Annual Conference will be posted on June 15. The release of this information and forms has been postponed from its usual date by one week due to scheduled upgrades to IASB database and computer software. Questions regarding conference registration and housing should be directed to IASB Meetings Management staff. They can be reached at ext. 1115. Smith said he plans to travel the state over the course of the year visiting school districts looking to share education success stories happening throughout Illinois. Details and scheduling opportunities will be announced at a later date. For more information see Smith's first Weekly Message. A webinar has been scheduled for May 28 to introduce State Superintendent Smith to local school district officials, staff, and the public. The webinar will provide districts with the opportunity to ask questions and for Smith to explain his educational philosophy and how he envisions his role as the state’s chief education official. To register for the webinar visit the Illinois State Board of Education website. 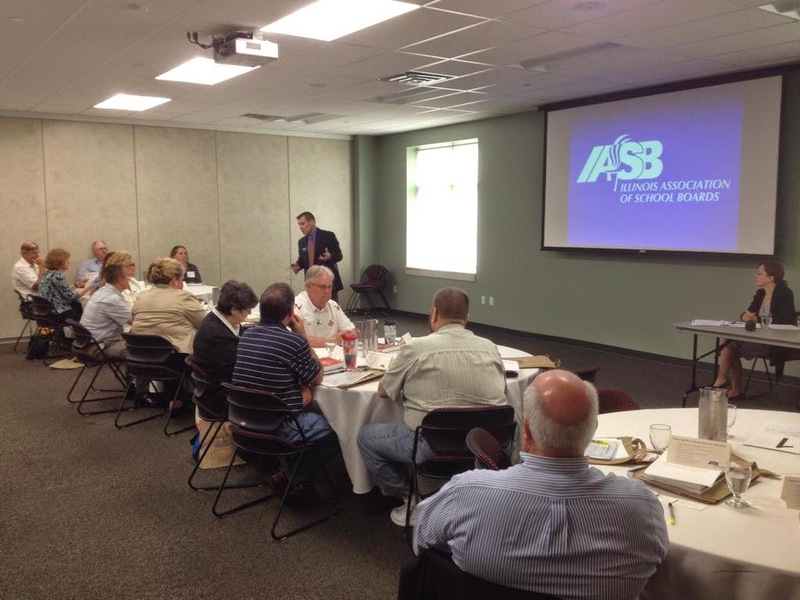 New policies, board goals, action plan, work calendar, and the annual budget were approved when the IASB Board of Directors met for its quarterly meeting May 1-2 in Springfield. The board has dedicated a portion of each meeting over the past two years to review and revise its policies. The latest meeting focused on interpretations and evidence of its board and board member development policy, as well as operational indicators that are used to monitor the effectiveness of board policy. The board approved indicators for compensation and benefits, financial planning, and asset protection. The IASB Board of Directors made several changes to the Association’s membership structure at its quarterly meeting on May 2. 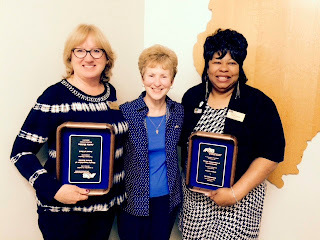 Jackie Mickley (left) and Val Densmore (right). There are currently six levels of memberships. Affiliate members include any educational service agency authorized by the School Code other than a local board of education. Examples include special education and vocational education cooperatives, township treasurers in Cook County, charter school governing boards, and the juvenile justice school district. Beginning July 1, affiliate membership dues will be set at $500 annually, with annual increases equal to the Employer Cost Index. Membership includes eligibility to attend conference and division meetings at member fees, access to appropriate training services and policy services at fees equal to or greater than regular member costs, member publications and participation in sponsored programs. Currently, policy services are made available at double the cost of member fees. Convenience – IASB is the only place to meet the PDLT, PERA, and OMA requirements in one day. Attending IASB events means participants will meet all the requirements. Expertise – Attorneys practicing school law throughout Illinois and engaging members from the Illinois Association of School Business Officials will present the latest content. Materials – IASB provides guides, handouts, and three of its latest publications to those attending. Relationships – Participants can make a connection with IASB staff in order to help them and their board learn, grow, and become more effective. 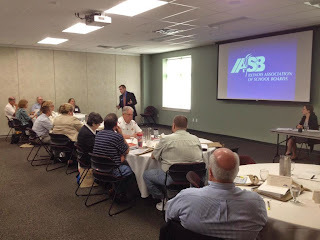 Network – IASB training includes valuable networking time with board members throughout the state. Two-Day Package – Day two will give attendees the governance training that is the critical foundation for effective boardsmanship. Close by – this year, there are 20 locations scheduled around the state. Recognition – the two-day training leads to membership in the LeaderShop Academy. The Illinois School Board Newsbulletin is evolving into a timely blog format. Effective today, the Newsbulletin will no longer be published in its previous format. Its content has been redesigned and will appear on the IASB website home page and at blog.iasb.com. The purpose of this change is to allow IASB to reach more members and to allow timelier reporting of education events and issues. 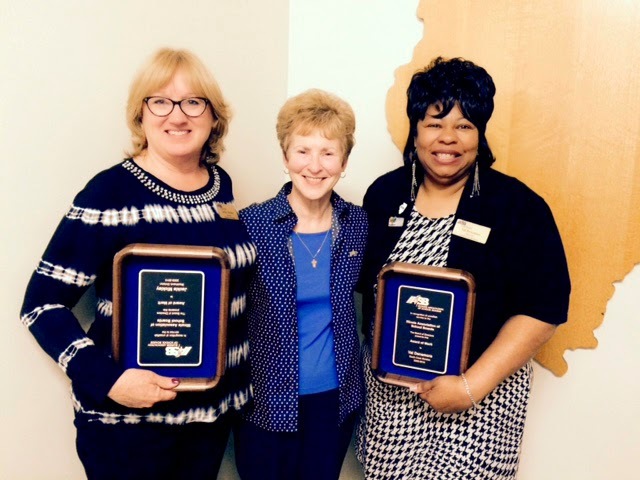 “We realize some members may miss the monthly newsletter. But we believe this change will give members easier and better access to information that they want to read,” said James Russell, IASB’s associate executive director for communications and production services. Local school boards are invited to submit resolutions for the 2015 Delegate Assembly. Information and resolution forms were mailed to district superintendents and board presidents on April 1. IASB’s Delegate Assembly, held annually at the Joint Annual Conference, serves as the major policy-setting mechanism of the Association. Each year’s assembly consists of delegates chosen by IASB member boards to represent them, with each board entitled to send one delegate. Active member boards may submit proposals for new IASB resolutions, amendments to existing position statements, reaffirmations of existing position statements, or belief statements. The deadline to submit resolutions is June 24. As was reported in Alliance Legislative Report (99-18), which can be found here, the Illinois General Assembly is primed to vote on legislation that would freeze property tax extensions for all taxing bodies. Such provisions have been submitted as amendments to four House Bills which are scheduled to be considered in the House Revenue and Finance Committee today at 5 p.m.
School board members and administrators are urged to contact their State Representative today and urge a “no” vote on these bills. For more information, read the rest of the Alliance Legislative Report about the March 12 legislative actions, at http://www.iasb.com/govrel/alr9920.cfm. The 2014 EEE jury at work. 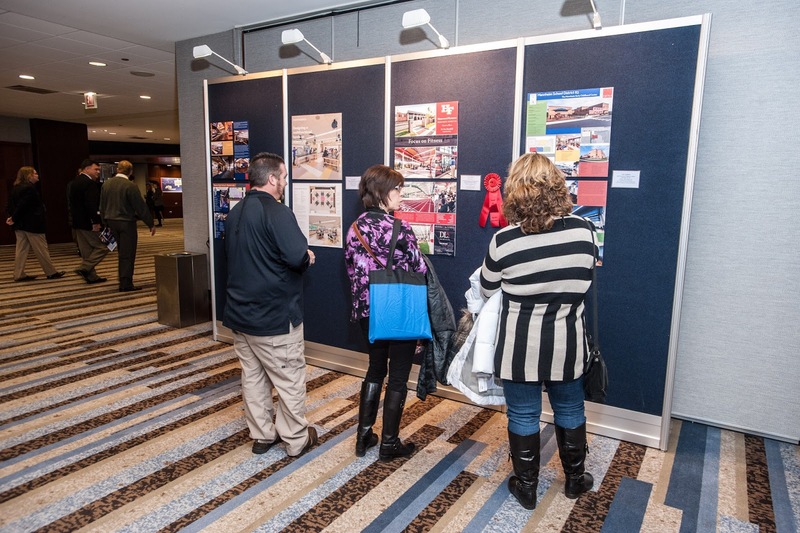 IASB Service Associates invites design firms engaged in any aspect of designing public school facilities to participate in the annual Exhibition of Educational Environments at the 2015 Joint Annual Conference. Eligible projects are limited to new or renovated facilities owned or operated by or for Illinois public school districts. 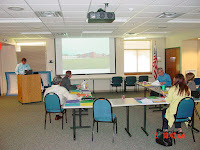 The facilities may be for instructional, recreational, administrative, or other use. To qualify for the 2015 Exhibition, construction must be completed in time for occupancy with the start of school in the fall of 2015. Eligible entrants include architects and other design professionals. During his campaign, while making comments at press events, and in his first State of the State Address, Governor Bruce Rauner has had a repeating theme of calling for a “property tax freeze.” No bill has been introduced, little talk of a property tax proposal has been part of conversations in the Capitol thus far this session, and no details have surfaced on what form, exactly, such a proposal would take. This week, however, more chatter has been heard about an emerging proposal from the Governor to freeze the property tax extension for all local units of governments, including school districts. In addition to the many school finance referenda on the ballot, voters approved two local district propositions calling for a change to at-large election of school board members. Two of four advisory questions also were adopted at the April 7 Consolidated Election, both of them concerning labor issues in one school district. Unofficial school referendum results from the April 7 Consolidated Election indicate voters approved six of 16 tax increase questions, seven of 14 bond propositions, and three of six county sales tax plans on the April 7 ballot. Local school districts were successful with tax referenda for educational purposes in Colona School District 190 (a $1.09 increase per $100 of assessed valuation); Crescent-Iroquois CUSD 249, Crescent City (an 80-cent increase per $100 of assessed valuation); Hamilton CUSD 328 (a 60-cent increase per $100 of assessed valuation); Scott-Morgan CUSD 2, Bluffs (a 60-cent increase per $100 of assessed valuation); Triad CUSD 2, Troy (a 50-cent increase per $100 of assessed valuation) and Community Unit School District 316, Warsaw (a $1 increase per $100 of assessed valuation). Three of these propositions, however, were approved by fewer than 100 votes. The Illinois House and Senate began committee work this week on legislation passed from the opposite chamber. With only three pieces of legislation having passed both chambers, there are still hundreds of bills to consider before the end of May. In addition, the Governor and legislative bodies continued work this week to develop a Fiscal Year 2016 state budget. The “devil will be in the details” once actual legislation is filed. Everyone recognizes it is an ambitious endeavor to enact sweeping reforms in 32 days before the constitutional deadline for legislative adjournment. Stay tuned! Click here to read the complete Alliance Legislative Report 99-17, including "good news/bad news" and bills in action this past week, and scheduled for next week.